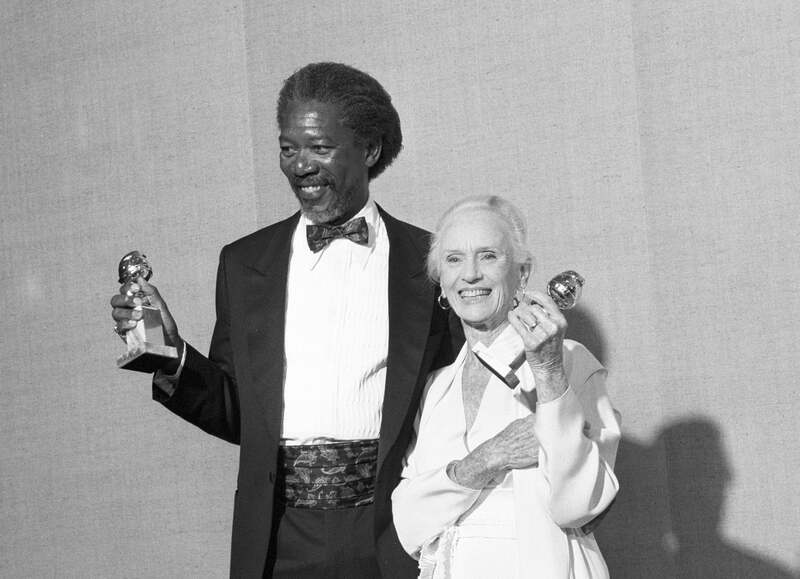 Morgan Freeman and Jessica Tandy both win Golden Globes for Best Actor and Best Actress in a Motion Picture-Comedy or Musical for Driving Miss Daisy, at the awards ceremonies held at the Beverly Hilton Hotel on Saturday, January 20, 1990. Directed by Bruce Beresford from the play by Alfred Uhry, the movie is about the 25-year friendship between an African-American chauffeur and the white Southern lady who employs him. 30 years later, director Peter Farrelly's Green Book - winner of three Golden Globes - is about the friendship between an Italian-American driver (Viggo Mortensen) and his employer, an African-American musician (Mahershala Ali).